The ability of yoga to help dial back both physical and mental problems is reason enough to try it. But there's more. Even at this early stage of research, a regular yoga practice appears to correlate with increased wellbeing, including better sleep, better body awareness, weight loss, and greater happiness. By improving mindfulness, it simultaneously helps to boost compassion, gratitude, and "flow" states, all of which contribute to greater happiness. Early evidence suggests that yoga may even slow aging on the cellular level, perhaps through its stress-busting effects. What makes these findings so exciting is that they suggest that a regular yoga practice can improve multiple areas of your life at once, creating positive feedback loops that can further promote health. For example, yoga can help improve your sleep, which in turn gives you more energy and focus during your day. When you feel better physically and mentally, you have the energy to adopt better habits, including a healthier diet and more physical activity. These changes in turn can lead to better weight control, which helps with a host of physical problems. More exercise—not to mention fewer aches and pains—can improve your sleep, and so the cycle continues. How do you feel when you wake up in the morning— refreshed and ready to go, or groggy and grumpy? As many as one in four Americans sleeps less than six hours a night. Insufficient sleep can make you too tired to work efficiently, to exercise, or to eat healthfully. Over time, sleep deprivation increases the risks for a number of chronic health problems, including heart disease, stroke, and diabetes. But emerging research shows that yoga may help you fall asleep faster, sleep longer, and sleep more soundly—without the negative side effects of medication. Yoga facilitates sleep by reducing stress, anxiety, and arousal—all known causes of poor sleep. One small study looked at a Kundalini meditation and breathing practice. Twenty people who had trouble sleeping did the 30-minute practice every night before going to bed. After eight weeks, researchers found that the participants were sleeping 36 minutes longer on average and waking up less during the night. Over all, the quality of their sleep improved by 11%. Sleep problems tend to increase as you get older, but a study done on adults ages 60 and up offers some good news. 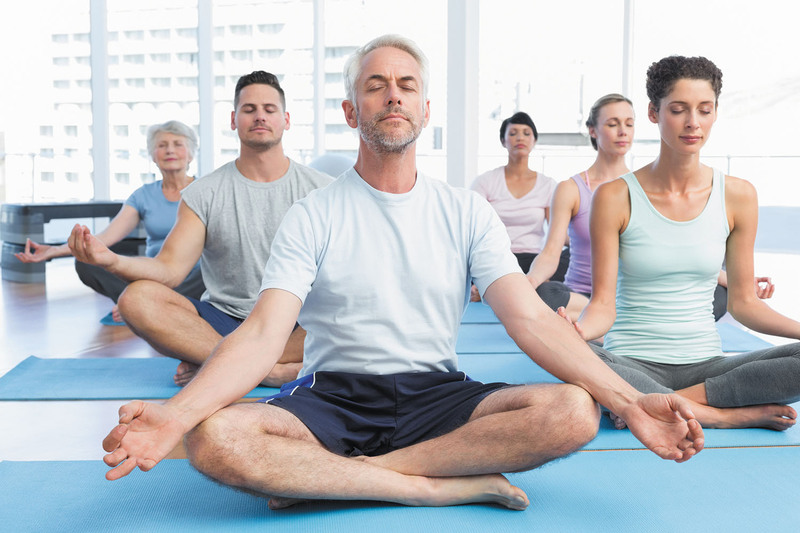 When scientists surveyed 35 seniors who had been doing a daily yoga practice for at least two years, they found that those who did yoga fell asleep 10 minutes faster, got an extra hour of sleep, and felt more rested when they woke up in the morning, compared with seniors who did not do yoga. Yoga even helps with full-fledged insomnia. While following common advice on how to get a good night's sleep can reduce sleep problems, people in one study fell asleep 37% faster after eight weeks of yoga compared with 28% for those who received only the advice. Research shows that there is a "dose-response" effect—meaning that the more you practice yoga, the fewer sleep disturbances you are likely to experience and the more restorative your sleep will be. Even if you don't have problems falling asleep, yoga can improve the quality of your slumber. To learn more about the benefits of yoga and ways to get started, read Introduction to Yoga, a Special Health Report from Harvard Medical School.